The Standard American Diet (SAD) has a negative impact on many individuals. The SAD is infiltrated with added sugar in multiple forms. Beyond the obvious culprits like cookies and cakes, sugar often hides in more unexpected places, such as peanut butter and salad dressing. Sugar is frequently masked by a plethora of alternative names, including fructose or evaporated cane juice. The prevalence of sugar in our diets is strongly connected to desire and cravings, which can be rooted at the neurological level. Continual intake of sugar over time can lead to the need for fulfillment and reward from sugary sources. According to a recent study, sugar has the ability to produce the feeling of reward following consumption. This rewarding feeling creates habitual tendencies to crave and desire sweetened foods. Sugar intake can lead to changes on the neurological level, which explains why some people have difficulty controlling their sugar consumption. These cravings can be really powerful. An additional review found that in animal studies, sugar can be more appealing and rewarding than habit-forming drugs such as cocaine. Memories create long-term associations. These associations can lead us to crave certain foods. For some people, the feeling of “the Sunday night blues” is ingrained since childhood, and assuaging the looming feeling of returning to school with a pint of ice cream seems to be the only way to cope. This memory may cause an individual to yearn for ice cream or another comfort food every Sunday evening. According to one study, sensory memory is strongly tied to cravings. Researchers found the same part of the brain triggered for drug and alcohol cravings is activated with cravings correlated with memory. Rituals also serve as sensory triggers for cravings—for instance, entering your grandmother’s house and heading straight toward the candy dish, or feeling a deep desire for a big slice of pumpkin pie on Thanksgiving. Sensory triggers, memories, and developed habits stimulate cravings and desires for foods that provide comfort and positive feelings. Mood and emotions have a direct correlation to cravings. An abundance of triggers prompt the need for certain food items. A fight with a loved one, feeling stressed or overwhelmed, boredom at work, or being alone on a Saturday night may provoke the desire for a certain food. Comfort foods, such as pizza or chocolate, may be used to soothe stress, sadness, or conflict. Anxiety may be temporarily reduced by something crunchy such as salty chips or pretzels, while heartache may cause others to turn to smooth and creamy peanut butter or ice cream. With the causes of cravings in mind, how can we prevent ourselves from giving in? To break the cycle of dietary cravings, it’s important to learn how to restrain yourself. Start by ensuring your environment is free from refined sugar-laden foods, such as sweetened beverages, baked goods, granola bars, canned fruits, cereal, and some yogurts. Be a conscious consumer and read ingredient labels. 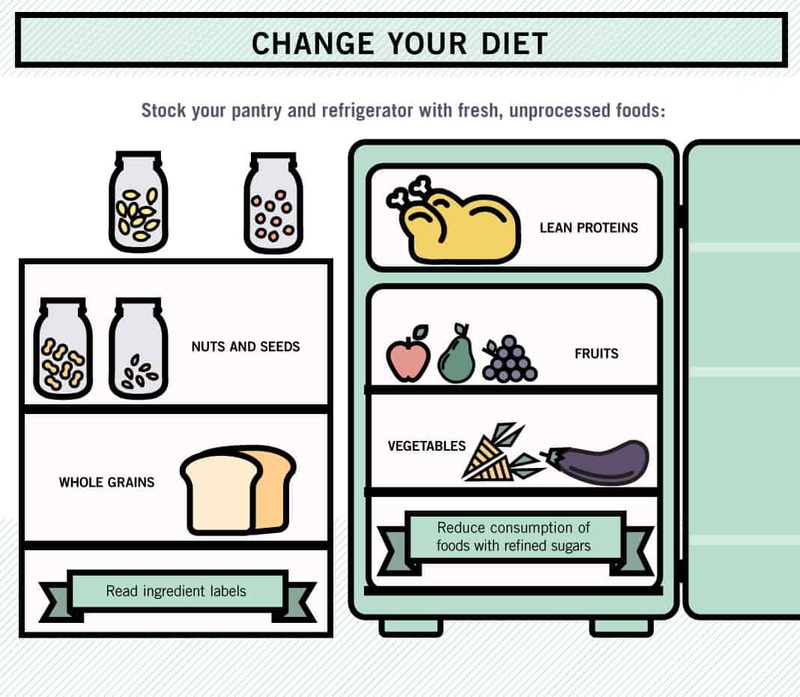 Stock your pantry with fresh, unprocessed foods including organic fruit and vegetables, nuts and seeds, lean proteins, and whole grains to remove added refined sugars from your diet. 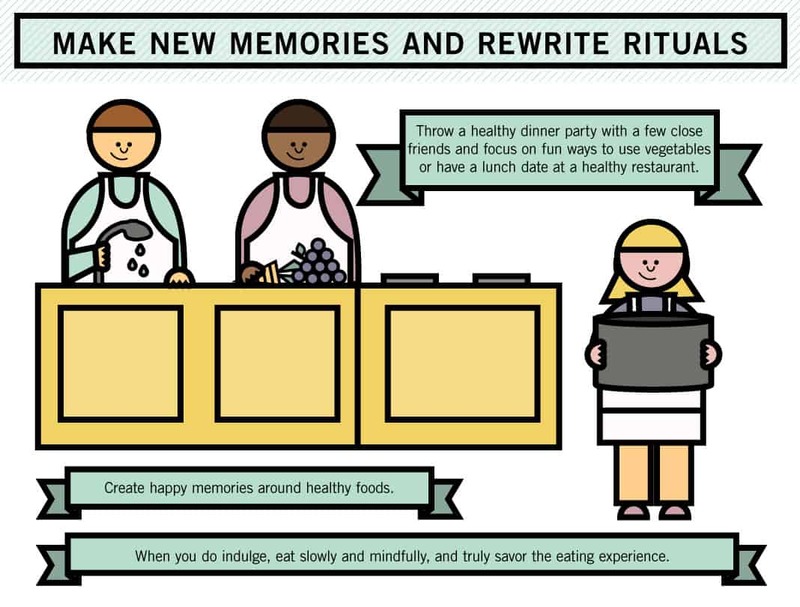 Create happy memories around healthy foods. Instead of turning to ice cream when you feel sad, think about happy times centered around healthy foods. If you do not have any, create them. 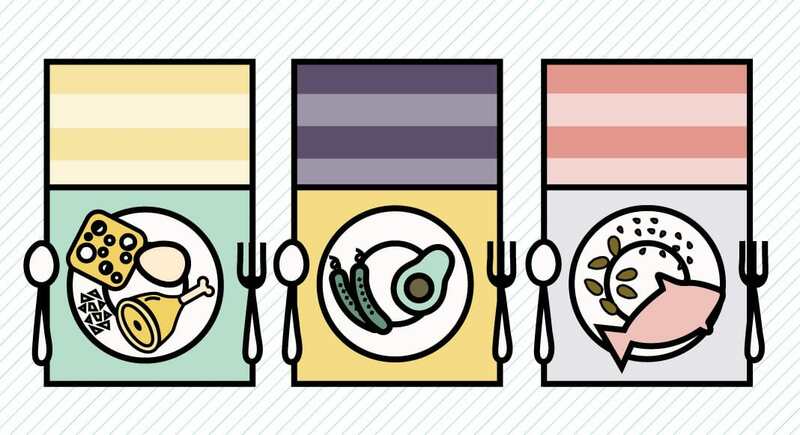 Throw a healthy dinner party with a few close friends and focus on fun ways to use vegetables, or have a lunch date at a healthy restaurant. Build happy memories you can return to when you feel down and drawn to unhealthy alternatives. Recreating and redirecting ritualistic practices are keys to changing behaviors and avoiding unhealthy cravings. If you crave that big piece of pie on Thanksgiving, use portion control. Take a small slice, eat it slowly, sip some tea, and truly savor the eating experience. If you always run to the candy dish at your grandma’s, run to the kitchen for a glass of water or, better yet, bring your own healthy snack to share. 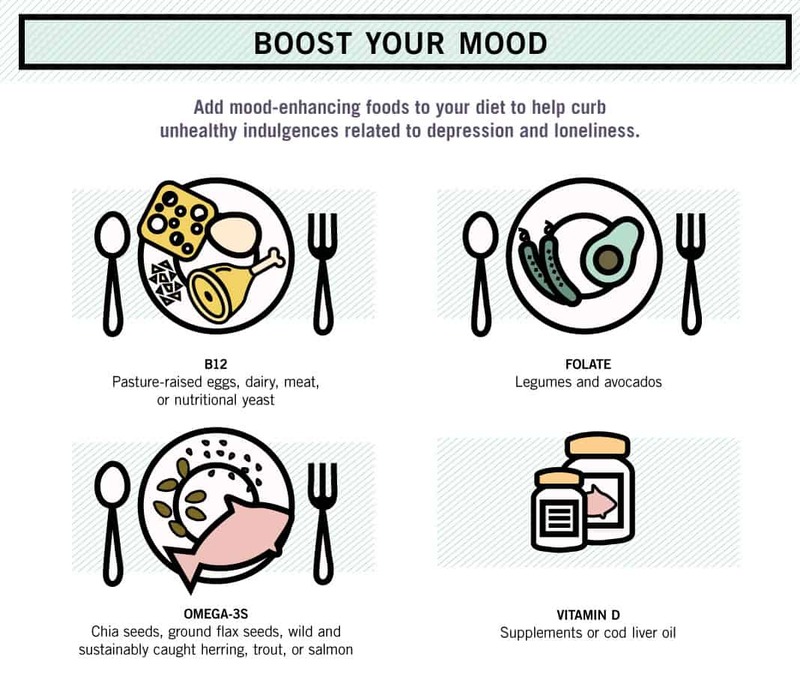 Adding mood-enhancing foods to your diet can also help curb unhealthy indulgences related to depression and loneliness. Omega-3 fatty acids, folate, B12, and vitamin D are all nutrients, which have mood-elevating effects. Find omega-3s in chia seeds, ground flax seeds, or wild and sustainably caught herring, trout, or salmon. Legumes and avocados are rich sources of folate, while pasture-raised eggs, dairy, meat, or nutritional yeast have high levels of B12. A primary source of vitamin D comes from sun exposure, but that’s not always feasible during the winter months. Supplements or cod liver oil are other ways to optimize your vitamin D intake and boost your mood. Find a healthy, conscious middle ground that satisfies your desire. If you are really craving French fries, try baked sweet potato wedges. If you really want a grilled cheese sandwich, consider an open-faced version with whole grain bread and one or two slices of real melted cheese. Going crazy for chocolate? Opt for a piece of high-quality chocolate with at least 70 percent cacao and no added emulsifiers. And for salty, crunchy cravings, grab a handful of lightly salted and roasted almonds instead of fried potato chips. Cravings can also hit when you go long periods of time without eating. For some people, eating three meals and a couple healthy snacks each day can stave off sudden cravings. Depriving yourself for hours without food can lead to grumpiness, overeating, and a lowered ability to make healthful choices. 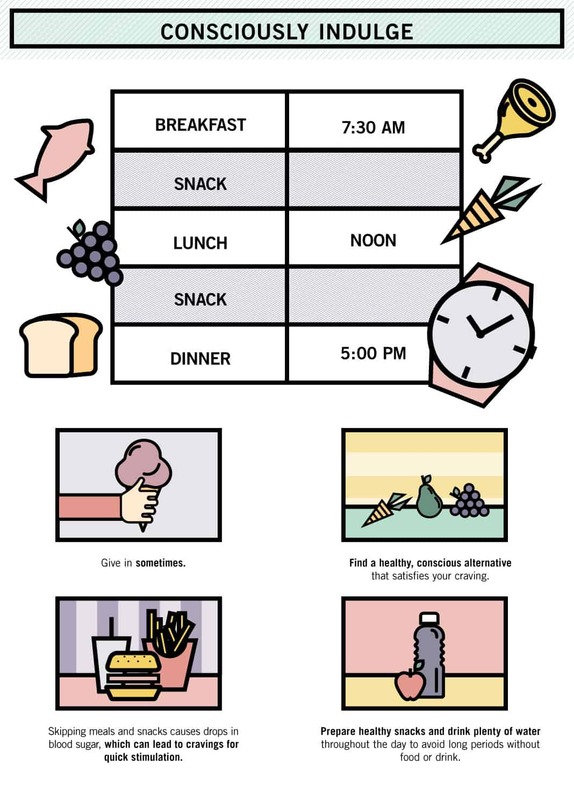 Skipping meals and snacks causes drops in blood sugar, which can lead to a strong urge for an extra cup of sweetened coffee or another sugary treat for quick stimulation. Prepare healthy snacks and drink plenty of water throughout the day to avoid long periods without food or drink, and the possible onslaught of an unhealthy craving. Food isn’t the only solution for food cravings. When a craving strikes, take a minute to ask yourself if you are truly hungry. Is another factor or emotion provoking the feeling or need? Try and wait at least 30 minutes before consciously indulging. 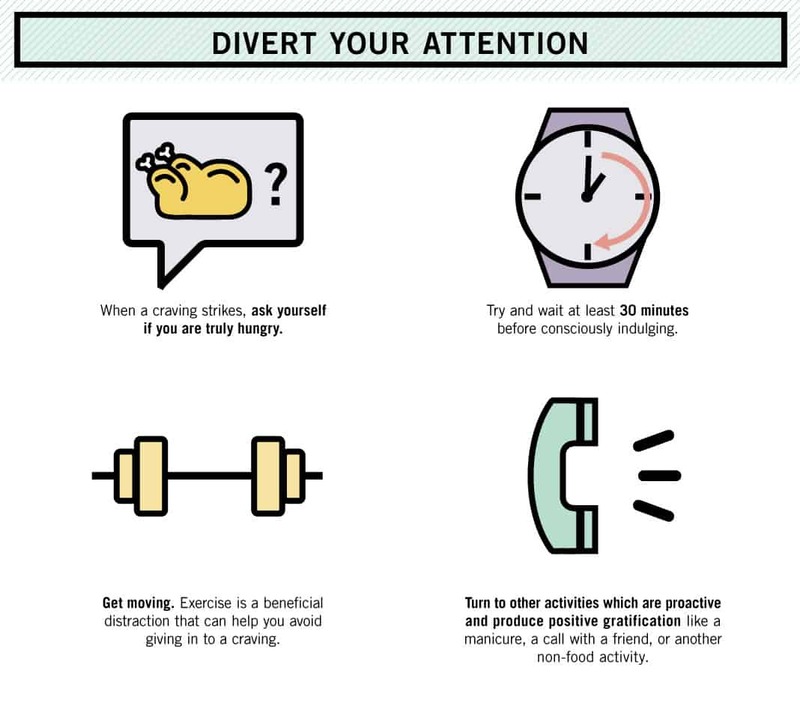 Exercise is a beneficial distraction that can help you avoid giving in to a craving. Working out produces feel-good endorphins, which provide positive reinforcement and stimulation in a healthy form. Turning to other activities that are proactive and produce positive gratification is another option. Get a manicure, soak in a lavender-scented bath, call a friend, or clean out a closet or drawer: Redirect your urge rather than immediately cave in. It is essential to not let emotions and memories interfere with healthy food intake. Continually question yourself when a craving strikes. Is it because I am sad and lonely, or that it’s Sunday night? Or, did I wait too long between meals and snacks? Being in tune with your body and remaining consciously aware of how and when you indulge are key techniques to curb cravings. Thanks so much for sharing, Samuel!